A pair of identical twin brothers in China who had been sharing the same driver’s license for 20 years recently got bused by police after one of them started going bald. The two twins’ trick was recently busted by police in their home town of Jiamusi, China’s Heilongjiang province, after one of them was pulled over on suspicion of driving with a revoked license. The man pretended to be his twin brother and handed the officers his driver’s license, as he usually did. Only this time, things didn’t go according to plan. Despite looking exactly like the man in the license photo, the impersonator couldn’t fool the police database, which showed the police that he had a twin and that they weren’t that identical anymore. While checking the police database, traffic officers noticed that one of the brothers had a full head of hair, while the other had started to go bald. The man they had stopped was wearing a hat, and when they asked him to take it off, they could tell he was the wrong Yan. Confronted with the evidence, the man confessed to impersonating his brother, and added that they had both been doing it for two decades. Well, they used to, until one of them started balding. 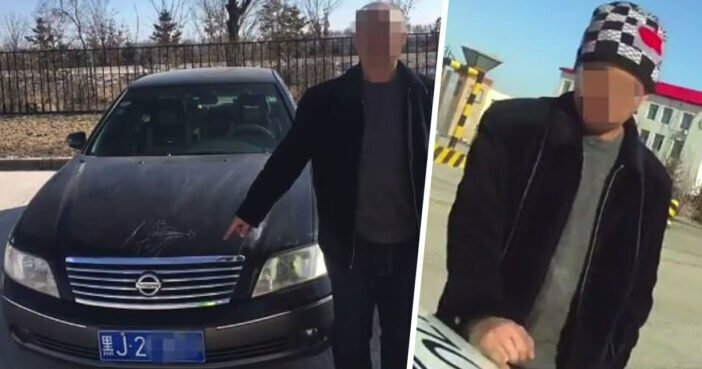 According to Chinese sources, the driver was fined 2,000 yuan and remained under investigation.